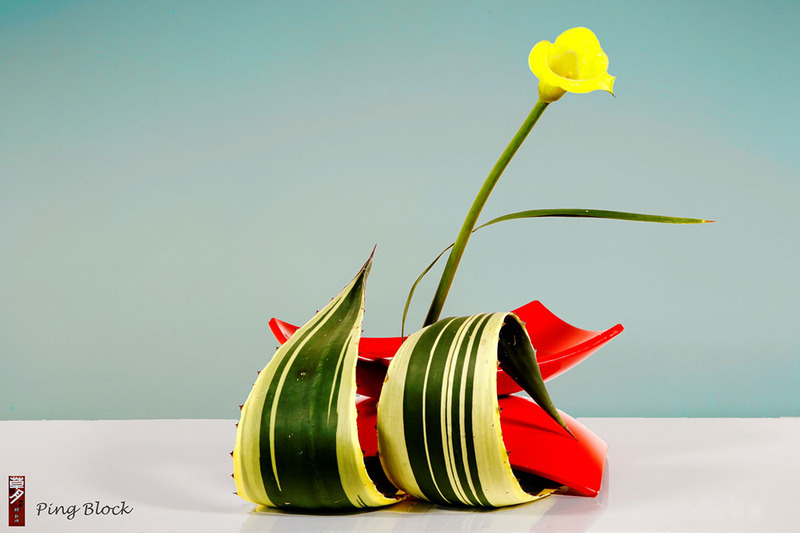 Ping Block first became truly aware of the beauty and magic of Ikebana when she happened to see an exhibition of Ikebana flower arrangements by Mr Yoshiro Umemura in a major Canberra department store. It was a revelation! Since 1996 she have had the great good fortune to be taught by Sensei Yoshiro Umemura and has also learned from some of the great masters of this wonderful Japanese art form in workshops and classes in Japan and as well as in Australia and around the world. 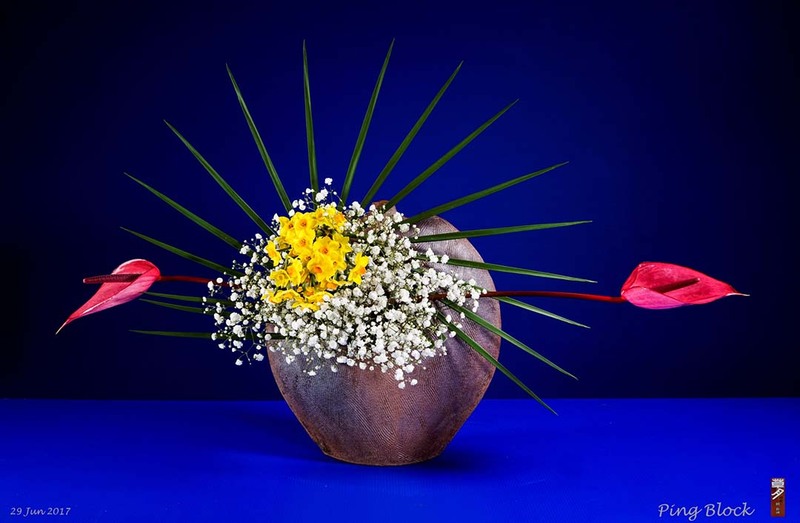 Ping’s passion for Ikebana has led her to travel the world to attend conferences, seminars, and other Ikebana events, and to lasting and valued friendships with many others who also share her love of this art form, both here in Australia and overseas. 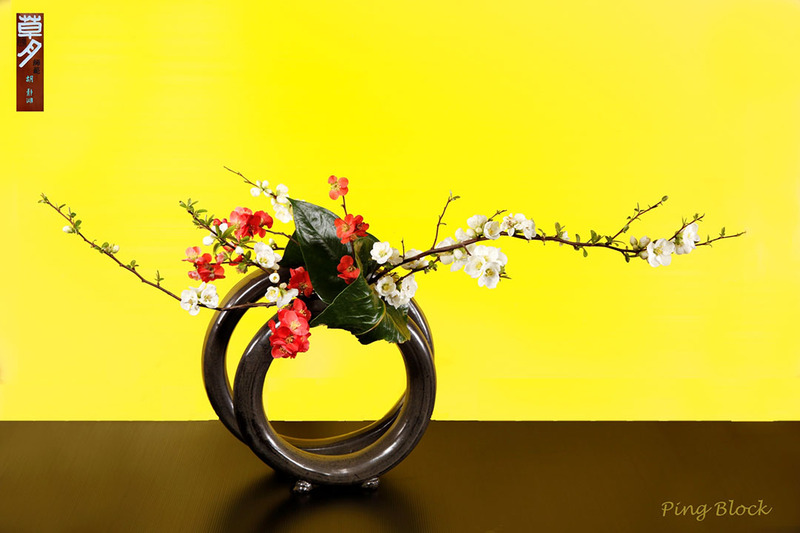 Ping’s passion for Ikebana has also led her to teach this art form, to directly share with others her love of Ikebana, and encourage each person to express themselves in this unique way. Finally, Ping has been honoured and privileged to have had the opportunity to bring to a wider audience this art form through invitations to prepare arrangements for an official dinner hosted by the Australian Prime Minister; for the Cabinet ante-room in the Australian Parliament House; the Japanese Embassy on its National Day and the Emperor’s birthday; and the Australian National Gallery. She has also conducted demonstrations at some of the above as well as at Canberra’s Floriade (the biggest flower event in the Southern Hemisphere); the Nara Candle Festival (Nara is the Japanese sister city of Canberra); the National Botanic Gardens; and for various local groups with an interest in flowers and gardens. 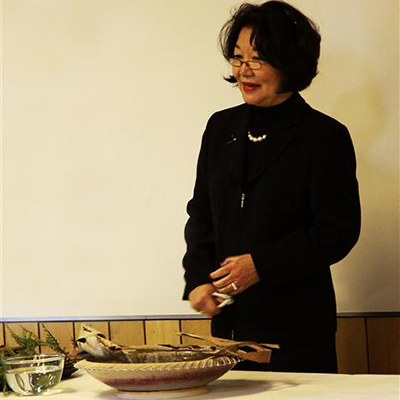 In 2014, Ping received her Riji degree (the highest grade of Sogetsu studies) and the Foreign Minister’s Commendations Award from the Foreign Minister of Japan. Recently in 2017, she received the Sogetsu 90th Anniversary Commemorative Overseas Akane Teshigahara Award.